Beautiful Thank You Volunteer Cards | it takes two, inc.
Where would you be without volunteers. 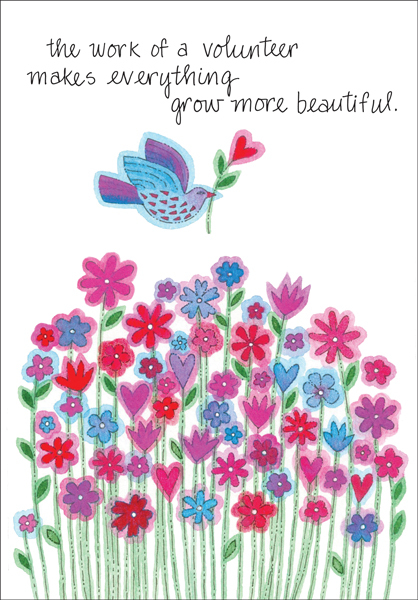 Send these beautiful thank you cards to volunteers who have made the world a better place. Front: the work of a volunteer makes everything grow more beautiful. 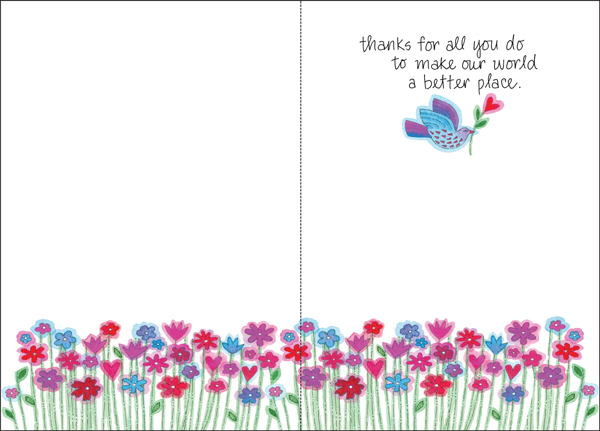 Inside: thanks for all you do to make our world a better place.